Sometimes the best way to approach a situation is by getting a new perspective. 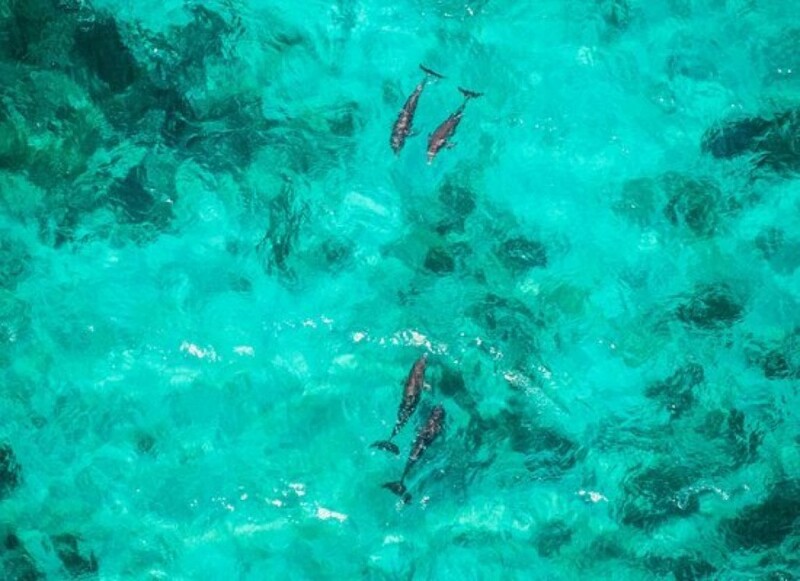 Researchers in Belize have done just that, and have strengthened efforts to protect one of the most iconic -- and threatened -- animals in the world's oceans. And the good news gets better: the count is a minimum population size, as for every animal seen, others present (and others present in unsurveyed areas) are missed. This is particularly important because fewer than 2,500 adult Antillean manatees (Trichechus manatus manatus) are thought to exist today, and the population is declining, earning them a status of Endangered on the IUCN Red List of Threatened Species. Antillean manatees, also called Caribbean manatees, are found throughout coastal areas of the Wider Caribbean and Gulf of Mexico. 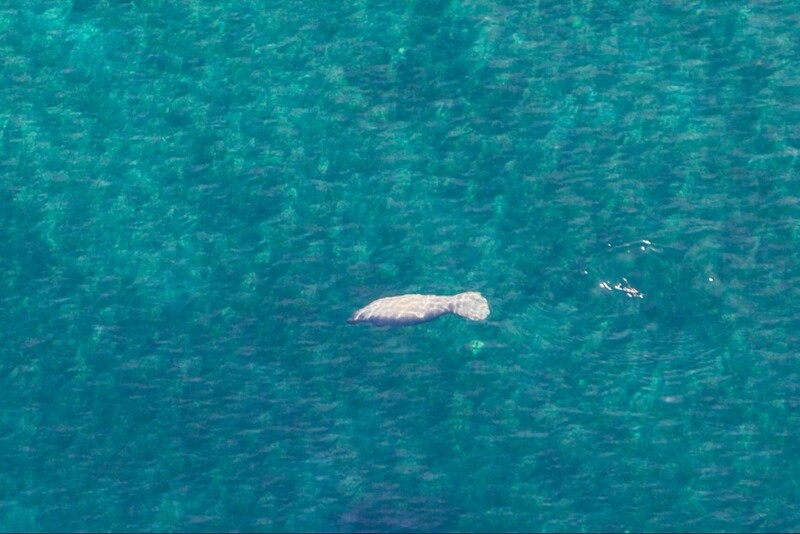 They are one of two subspecies of the West Indian Manatee (the other is the Florida manatee, T. m. latirostris). Threats to Antillean manatees include habitat degradation, boat strikes, accidental capture in fishing gear, pollution, and hunting. Belize: An Oasis for Marine Biodiversity? 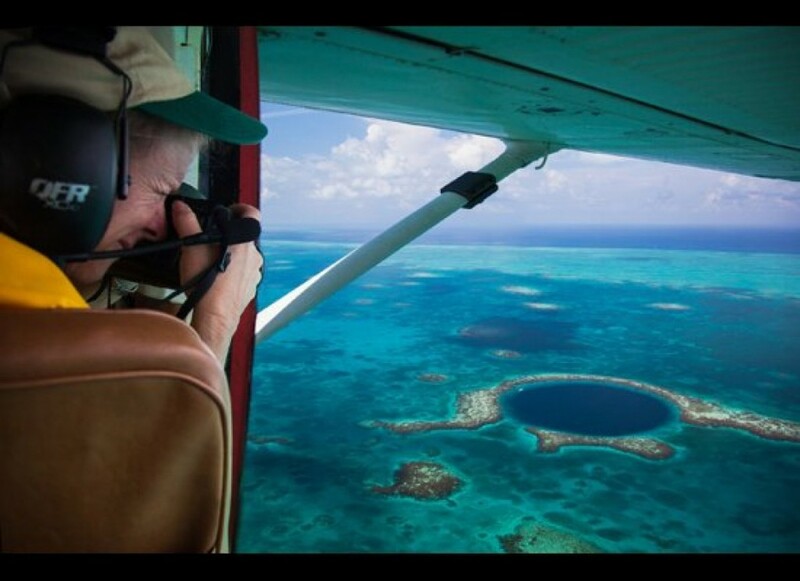 Belize has the greatest number of Antillean manatees in the world, which are found both in coastal areas and around the remote Turneffe Atoll -- the largest coral atoll in the western hemisphere -- located 25 miles off the Belizean mainland. 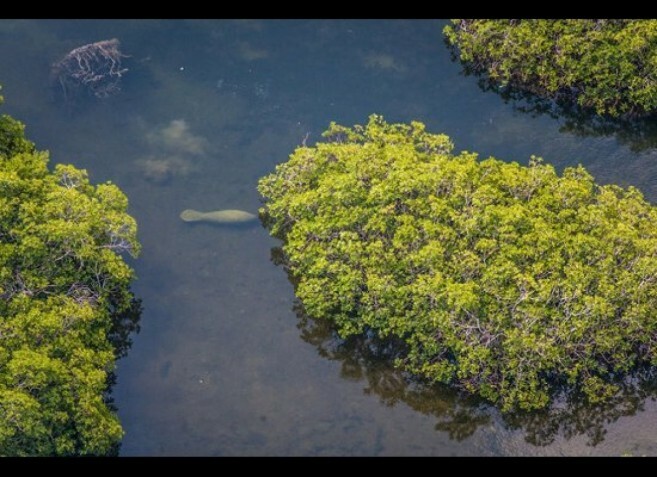 Manatees are typically associated with freshwater sources like springs and manmade effluence, but no such source is yet known for Turneffe, making their presence there somewhat of a mystery. But the seagrass-munching manatees aren't the only species to call Turneffe home. The atoll harbors the largest population of American saltwater crocodiles in Belize, provides feeding and calving grounds for bottlenose dolphins, is a stopover for dozens of migratory bird species, and includes large expanses of intact mangrove and seagrass habitats that serve as nurseries for countless fish and invertebrate species with biological and commercial value. On a recent visit to Turneffe during one of Oceanic Society's award-winning expeditions, our boat bounced and rocked in wind-blown swells during the 1.5-hour trip from the mainland. Entering Turneffe through the fringing reef, we crossed an expansive network of deep lagoons ringed by mangrove trees before arriving at our field station on the eastern side of the atoll. During our visit, we saw dozens of species of fish, coral, invertebrates and other reef-dwelling critters while snorkeling the outer reef in a spot that has for years been monitored in a study of coral reef ecosystem health. Later, we observed a pair of bottlenose dolphins from topside while listening to their dazzling acoustic displays of clicks, whistles, and wheezes with an underwater microphone. It was hard to envision a supposedly slow-moving manatee using that flattened tail peduncle -- which looks better equipped for serving pizzas -- making the long haul from the mainland out to Turneffe. But I could understand why they would go through all that effort. Unfortunately, Turneffe is under threat -- despite its isolation and apparent health -- from climate change, overfishing, and invasive species. In addition, the drumbeat for big-dollar, unsustainable development projects is growing louder by the day. On the bright side, multiple stakeholders from fishing communities, ecotourism companies, conservation groups, and government managers are developing a conservation management strategy for Turneffe. These efforts are encouraging, but have a long way to go. But just knowing that such endangered and unique creatures like Antillean manatees need Turneffe -- even if it's still unclear why -- is critical. With this knowledge and more to come, we can strengthen the case for conservation of Turneffe and its inhabitants. 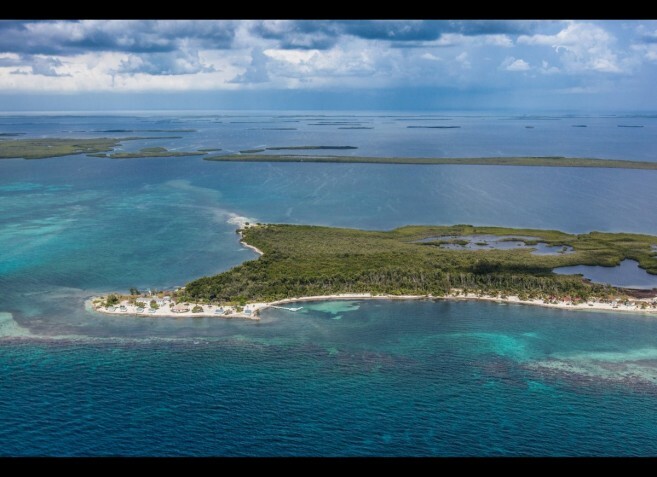 Doing so is important for demonstrating Belize's reputation as an oasis -- not just for sun-seeking humans on holiday -- but for marine biodiversity as well. Dr. Bryan Wallace is chief scientist of Oceanic Society, a frequent blogger, and an advocate for the oceans. Join Oceanic Society on Facebook or follow us on Twitter (@OceanicSociety) for updates on our work.